The Worcester Common Oval public ice-skating rink has opened for the season. The Oval has piped-in music, skate rentals, concessions, holiday lights and more, making it a fun and affordable family-friendly activity. New this year is the WOOville Winter Wonderland, a series of wooden sheds set up on the Worcester Common that will host pop-up shops every weekend throughout the skating season and feature local food and craft vendors. Kids can have their picture taken with Santa for free every Saturday and Sunday from noon to 2 p.m. through Christmas. Public ice skating will be held from 5 to 8 p.m. on Thursdays and Fridays, and 1 to 6 p.m. on Saturdays and Sundays, through Jan. 21. The Oval will also be open for daytime skating during December school vacation week, Martin Luther King Jr. Day, and New Year’s Day. During the week of Dec. 26, the Oval will be open from 1 to 6 p.m., Monday through Wednesday, and 1 to 8 p.m. on Thursday and Friday. The rink will be closed on Christmas Day. Admission for open skating is $10, and free for children ages six and younger. Bring your own skates and receive $5 off the admission price. A refundable $25 cash or credit card deposit is required for skate rentals. The Oval is available for private group rentals by calling 508-929-0125. The rink will be open as the weather and ice conditions allow. Closings and delayed openings can be found at online at www.WorcesterCommonOval.com or by calling 508-929-0777. 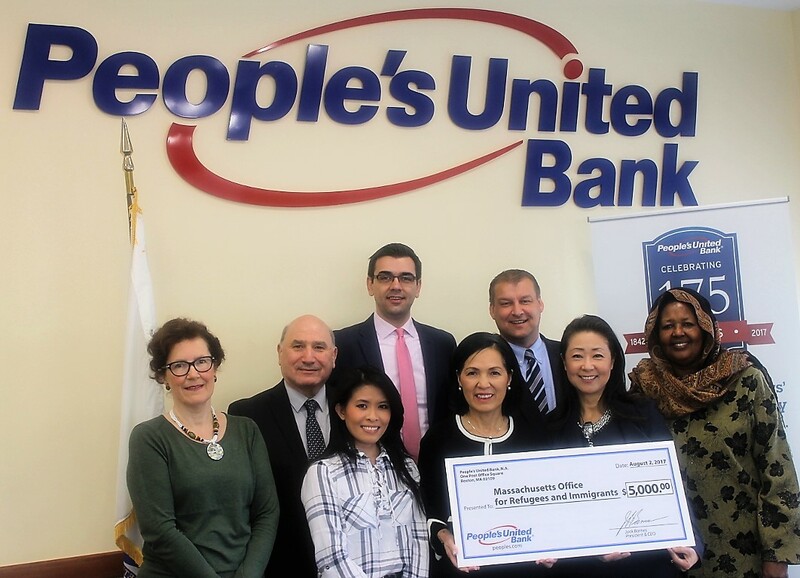 People’s United Bank employees recently presented a $5,000 check to the state Office for Refugees and Immigrants (ORI), which will be used to help promote the full participation of refugees and immigrants in the economic, civic, social and cultural life of Massachusetts. From left, Christine Brehany, Refugee Immigration Assistance Center in Worcester, Emil Farjo, Office of Refugees and Immigrants, Kierra Ho, Office of Refugees and Immigrants, Martin Bellovoda, People’s United Bank, Mary Truong, Executive Director of the Office of Refugees and Immigrants, Maurice “Dutch” Kolthof, People’s United Bank, Grace Lee, Regional Director of Government Banking at People’s United Bank, Mariam Gas, Executive Director of the Refugee Immigration Assistance Center. Local dignitaries, including ORI Executive Director Mary Truong, took part in the Dec. 2 presentation and spoke about the significance of the partnership and its impact. As part of the event, People’s United employees conducted a financial education and wellness seminar in coordination with the Refugee and Immigration Assistance Center of Worcester. The seminar, which addressed the basics of banking and how to open an account, was attended by more than two dozen immigrants and refugees who are now calling Massachusetts home. Many of them have been displaced from Syria and Iraq. People’s United Bank’s goal is to initiate a series of financial-education events to support successful resettlement and promote self-sufficiency among area immigrants and refugees. UMass Memorial Health Care has been named a “Best Practices Award Winner” by the New England Employee Benefits Council (NEEBC). The award was presented to the health care system at the 19th annual NEEBC Best Practices Conference on Dec. 7. 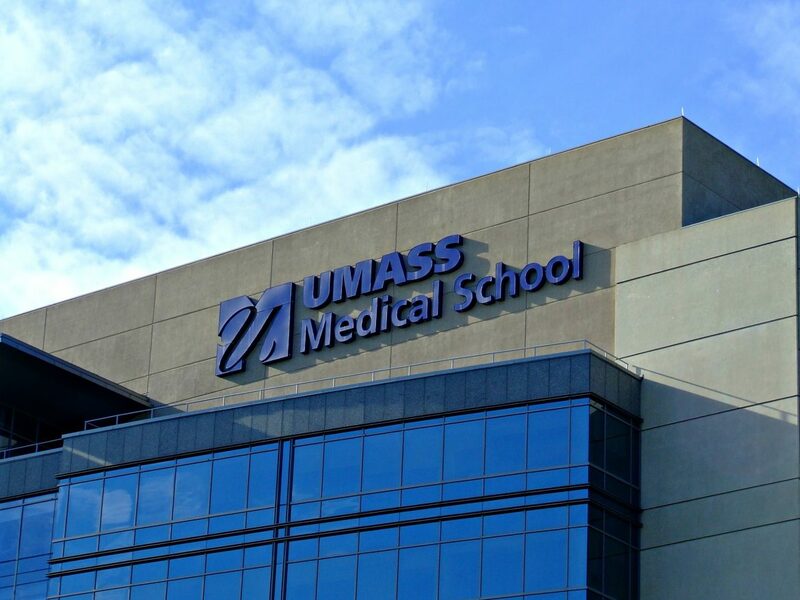 UMass Memorial Health Care was recognized for its myHealth Matters program – a comprehensive wellness initiative that incorporates physical, emotional, social and intellectual wellness, as well as disease and lifestyle management. The myHealth Matters program was implemented four years ago and rolled out to 75 different locations. The program targets a wide array of health management objectives and has obtained senior management support while involving key stakeholders and employees. Resources are available to all UMMHC employees, but there is enhanced access to resources, tips and tools to benefit-eligible employees.